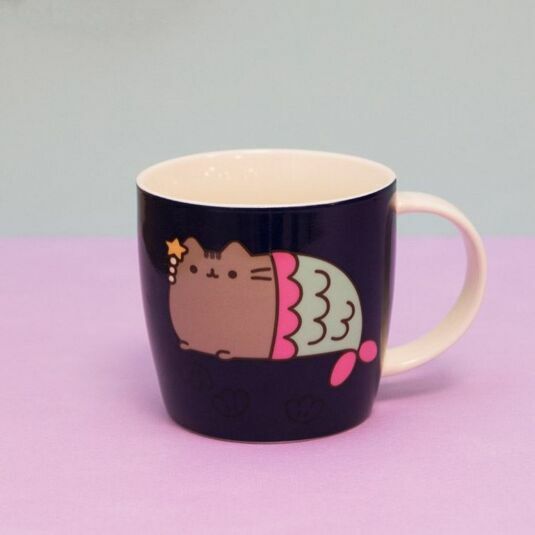 Like Pusheen? Click here to view the entire range. 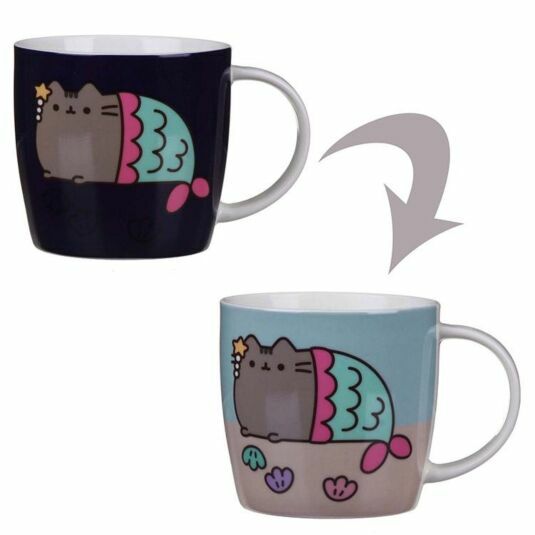 Bring the magic of Pusheen into your life with this beautiful colour changing mug from Pusheen. It makes the perfect kitchen accessory! 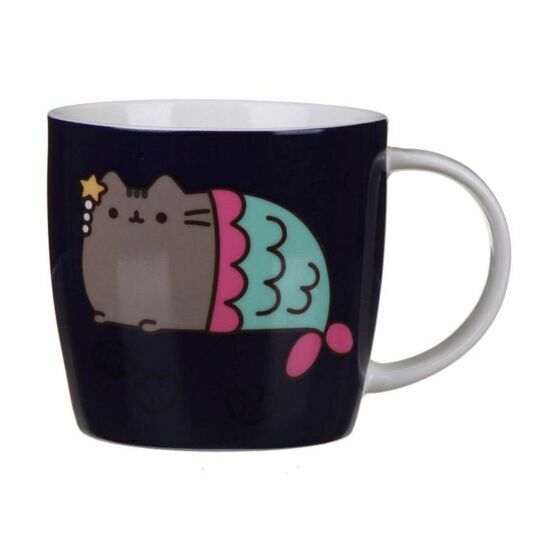 It is brilliant as a Christmas or birthday gift, or any other time that you want to celebrate the beauty if Pusheen. This colour changing mug, with a capacity of 250ml, displays a beautiful scene. 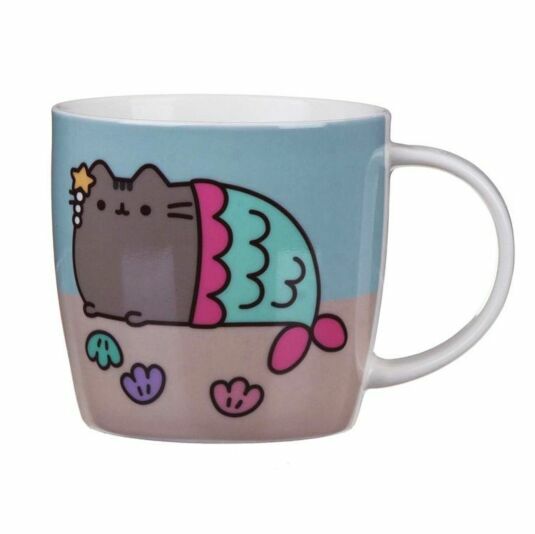 Before your hot drink is poured in, the graphic on the front is a beautiful Pusheen Mermaid with a deep blue background, perhaps water of some kind. When a hot liquid is added to the mug, it changes colour before your eyes, as if by magic! Instead of the deep blue background, we are now faced with a Pusheen Mermaid on a beach, with a light blue sky and a sand-coloured beach, complete with cute little seashells.